Ignite is a conference held annually by Microsoft for their technical community. 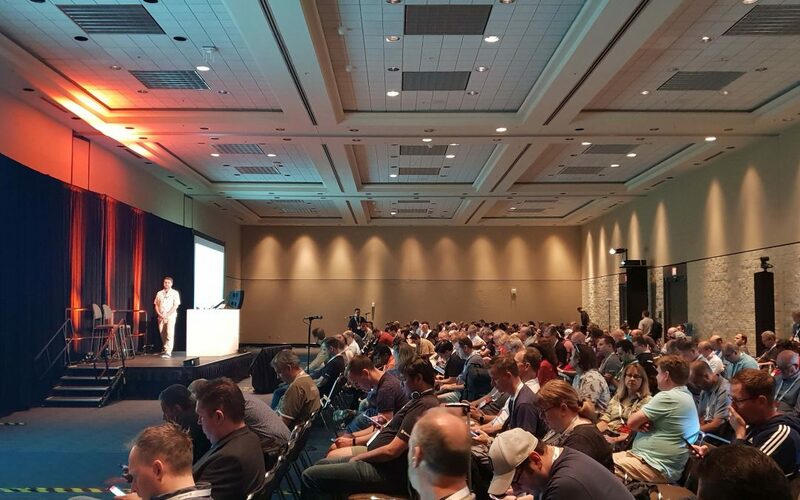 At Ignite, 30,000 technical professionals that work with Microsoft technologies are invited to attend 700+ sessions, providing insights and roadmaps from industry leaders and deep dives and live demos on Microsoft products. The videos are available to view here. David Kaganovsky, Wavemaker CTO, presents with Suzy Dean, AddIn365 CEO, on how Microsoft communications sites can be integrated in to Microsoft Teams to support employees in adopting New Ways of Working. David and Suzy also talk through how AddIn Work Hub and AddIn365’s roll-out methodology has been used within Wavemaker to adopt Microsoft SharePoint, Microsoft Teams and OneDrive. David Kaganovsky, Wavemaker CTO, speaks with Jeff Teper, Corporate Vice President of Office, OneDrive & SharePoint at Microsoft in the productivity keynote, ‘Content Collaboration in the Modern Workplace’. David explains how using AddIn365’s product Work Hub and AddIn365’s roll-out methodology allowed Wavemaker to on-board employees to New Ways of Working, using Teams, OneDrive and SharePoint. See full length video below. AddIn365’s Work Hub product was also featured in the session ‘Building a modern intranet with SharePoint and Office 365.’ This session was presented by Susan Hanley and Mark Kashman, Senior Product Manager for SharePoint and Delve, at Microsoft.